Getting an NHS prescription. Since being diagnosed, I have been testing myself frequently. Every time I do this, I need to put a drop of blood on a little disposable strip that I put in a machine. These strips cost a fortune and buying them without a prescription would have bankrupted me within the year! Thankfully, you fine tax payers are helping out now and I am extremely grateful for the pile of “free” drugs I picked up today. Having an espresso. I sat down, reached for the white sugar, and thought “ah, I won’t be having that in my espresso ever again”. And put it back in the pot. Writing a blog! Today is my first day posting a blog. Because the whole diabetes experience is so intense for me at the moment, I am writing more than even the most patient reader will be interested in reading! So please forgive the information overload. At least I find it interesting myself! interesting blog, Liz (a work colleague of yours) put me on to it – my daughter was diagnosed 3 years ago aged 5. I admire how positively you have approached it. It’s miserable as a parent, I can tell you! 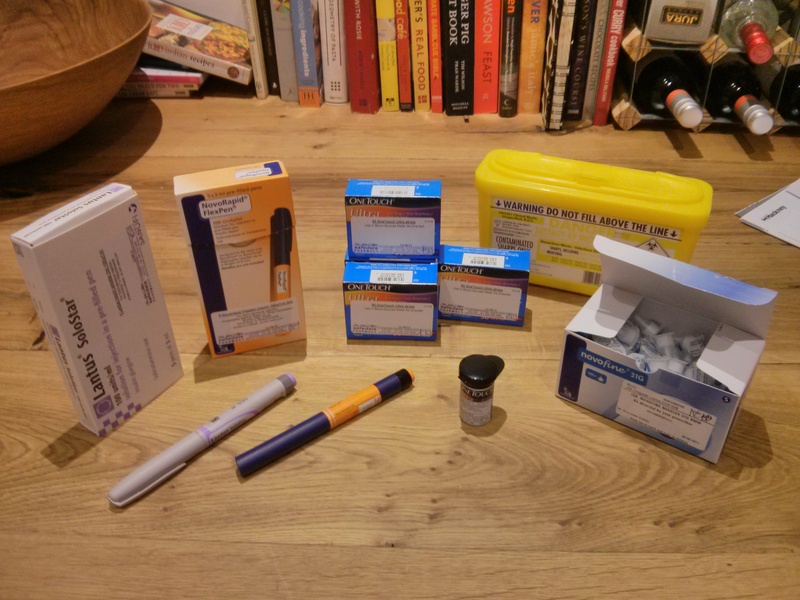 I have turned to cycling to raise money for JDRF – over £2500 so far, which is pleasing!